If you’re like many people, facial hair is a problem you’d like to solve. From light peach-fuzz to areas with a few darker hairs, you feel a bit embarrassed and have been using makeup to try to make it look less noticeable. If facial hair has become an issue for you, waxing may be the perfect solution. There are just a few options for hair removal on your face. You can shave it, bleach it, get a laser treatment, or wax it. Shaving, while a quick solution, has several disadvantages that are particularly problematic for facial hair. The razor can cause nicks and cuts in your skin, and nobody wants that on their face. Shaving cuts hair at the surface, and the angle of the cut makes hair appear darker and thicker when it regrows. Speaking of regrowth, with shaving, that happens very quickly, with stubble appearing the next day. Bleaching does not get rid of hair. It makes it lighter and hopefully less noticeable. However, even light hair can be seen up close, and women sometimes cut the hair shorter, which results in the same thicker look as with shaving. Bleaching is not a good option for women with sensitive skin or who have a lot of facial hair to hide in several different areas of the face. Laser treatments, while effective, can be prohibitively expensive. Waxing is a low-cost, effective solution. Hair is removed from the root, not cut from the surface. Because each follicle must regrow before the hair can regrow, it takes much longer to reappear. In fact, hair may eventually stop growing in areas that have been waxed regularly. With its deep hair removal, there is no stubble from waxing, and hair that regrows may appear even thinner and less noticeable. Waxing is precise, so it can be used as a tool to perfectly shape eyebrows. Hair is only removed where wax is placed, with gives your esthetician the ability to customize hair removal for your needs. Exfoliation is one benefit of waxing that can help make your skin healthier. As the wax is removed, dead skin cells and dirt that may clog pores goes right with it. This not only cleans your skin, but it also helps stimulate regrowth of healthy cells and collagen to keep skin looking smooth and youthful. Finally, the confidence you feel when looking your best is invaluable! If you’ve had trouble with facial hair and would like to try waxing for yourself, make an appointment today at Untangled Salon. 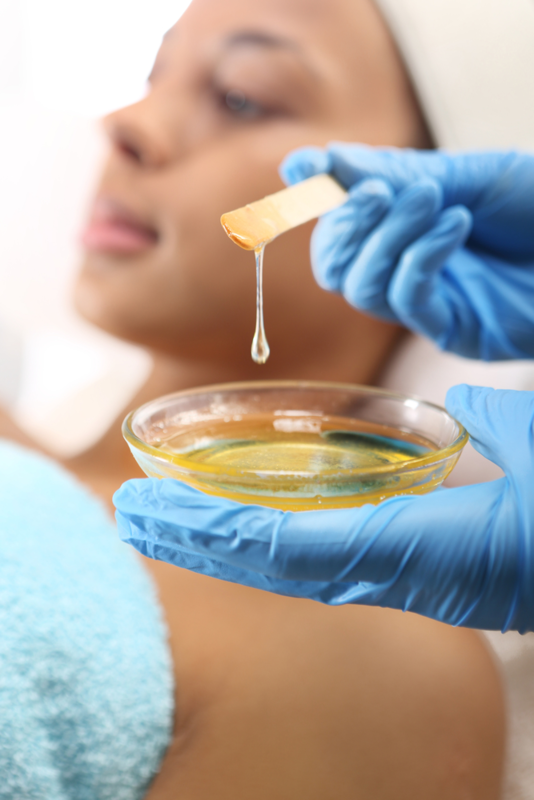 Our professional estheticians will provide a customized waxing service tailored to your individual needs. You can find us at 19924 Jetton Road, Suite 105 in Cornelius. To schedule an appointment, just give us a call at 704-895-9300 or send us an email at info@hairuntangled.com. Prefer to schedule an appointment yourself? Download our free mobile app at the AppStore, on Google Play, or on Amazon. Connect with Us on Our New Mobile App!